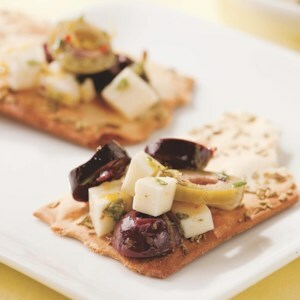 Find healthy, delicious olive appetizer recipes, from the food and nutrition experts at EatingWell. 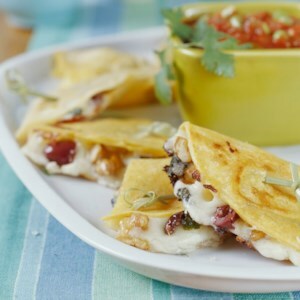 These Mexican-style fold-overs with an Italian spin are brimming with provolone and mozzarella cheeses as well as ripe olives and walnuts. 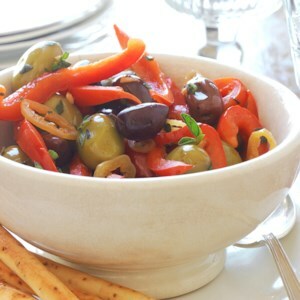 Many large supermarkets or delis offer a variety of olives at a take-your-choice olive bar. 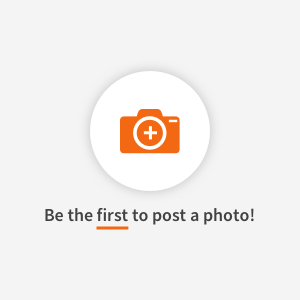 Mix and match the ones you like best with this simple recipe. 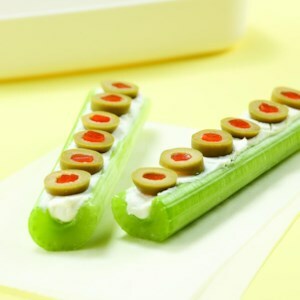 These delicious appetizer pin-wheels are beautifly presented. 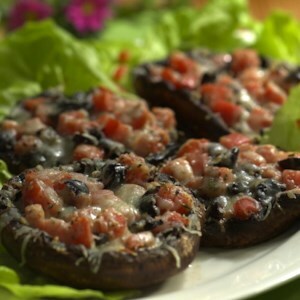 Portobello caps make excellent mini casseroles. 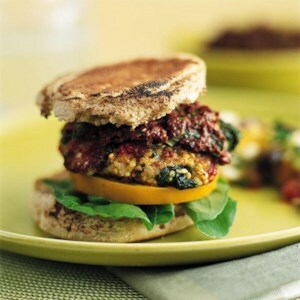 Here, they hold a tomato, cheese and olive stuffing that grills up to a smoky perfection. 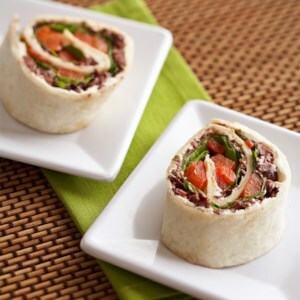 Serve them with whole-wheat couscous and a mixed green salad for an easy meal. 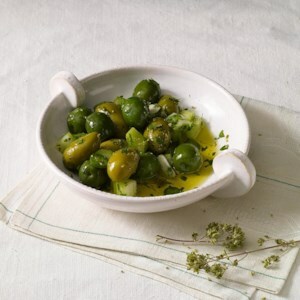 Chilies, cranberries, kumquats and fresh mint add festive color and flavor to your favorite black and green olives. 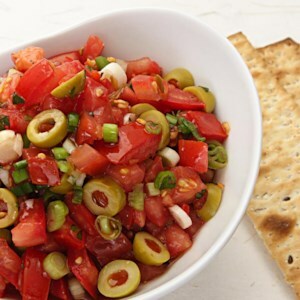 This zesty spin on standard tomato salsa includes sliced green olives and hot pepper relish. Serve as a dip with toasted pita chips or spoon over grilled fish or chicken. This makes a great finish for baked or broiled fish, or serve with Mediterranean Burgers. Use this spiced black bean-and-olive filling to stuff tamales or combine with sauteed chard in tacos. 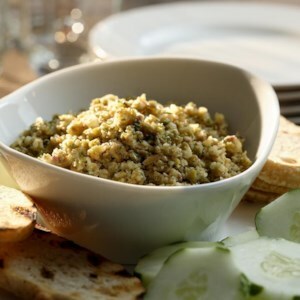 The relish is great on chicken, veal, salmon or pasta as well as the tuna. 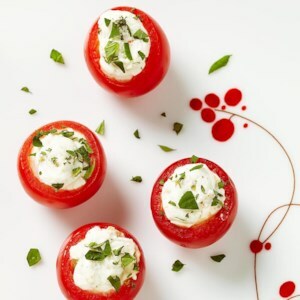 Serve with grilled vegetables and steamed new potatoes. 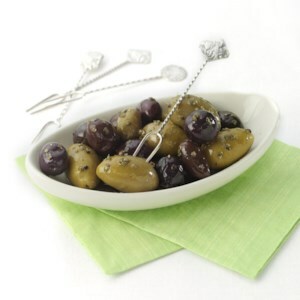 When you need an easy, make-ahead hors d'oeuvre, just toss olives with dried oregano and garlic. Salty olives and fresh rosemary turn prepared pizza dough into a terrific bread to serve with soup or salad.